It may hark back to bygone days, but these black and white winners in a picture contest show that the art form is still very much alive. 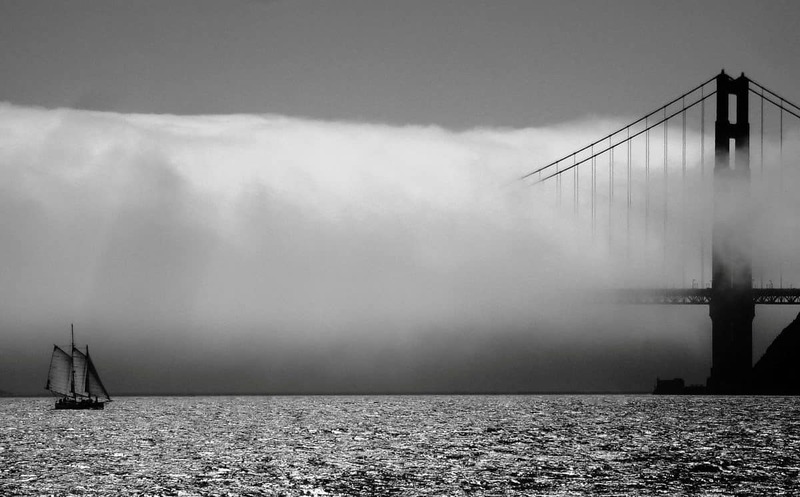 Won by an atmospheric shot of a sailboat going past as fog rolls in to the Golden Gate Bridge in San Francisco, other entries include a stunning portrait of a leopard in the wild and horses in France. They were all winners and runners-up in the Society of Photographers Monochrome photo competition, pulling in entries from all over the world. The winning shot was taken by British snapper Eric Browett on a motorbike trip to the States. Eric, 61, a retired teacher from Welwyn in Herts said: “It was taken on a motorbike roadtrip with friends, so I was travelling light. “The camera was a relatively basic point and click, a Sony which I’d had for about 10 years. 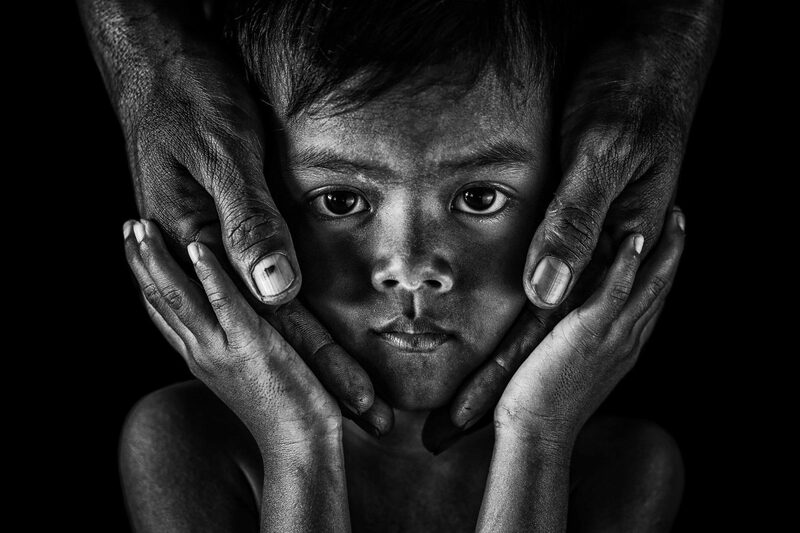 Runner up was Andi Abdul Halil, 36, from Indonesia, who works as a ship’s captain in Abu Dhabi with his portrait of a boy holding his father’s hands on his face. He said: “I took the shot in my hometown Sungai Guntung, Riau, Indonesia. 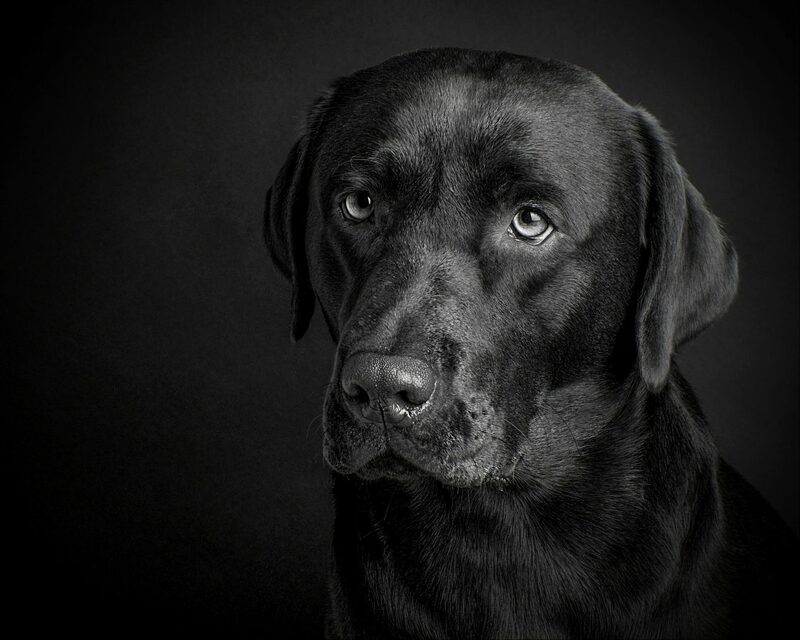 And third was an animal portrait of a labrador by Michele Campbell from near Kilmarnock in Scotland. 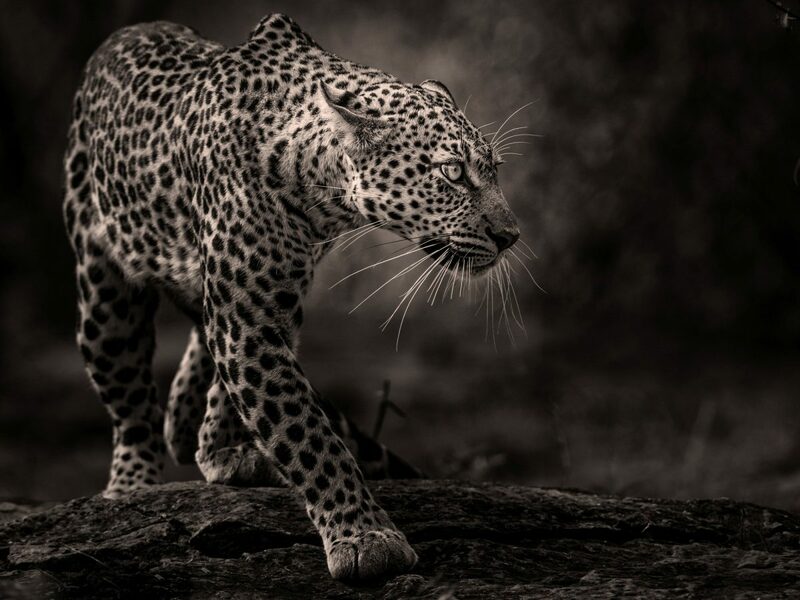 And although at first glance, Jane Dagnall’s leopard looks like a studio shot, it was actually taken in the wild. Speaking of her highly commended picture, Jane, from near Preston in Lancashire, said: “It’s a wild leopard taken in the Masai Mara. The sheer joy of one dog jumping towards him got Dani Colston highly commended. The 38 year old from south Wales was visiting his mum in Portugal and took over an hour playing to get the right shot. Dani, a support worker, working with individuals with severe learning and physical disabilities, said: “I was visiting my mum who’s retired to Portugal and spent lots of time playing with her rescue dogs. 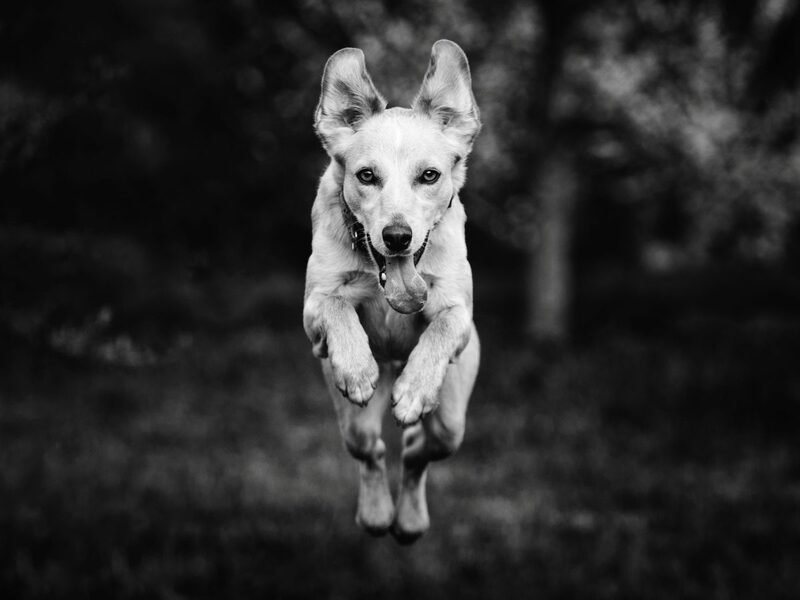 “I must’ve been laying down for over an hour throwing toys for her trying to get this shot of her returning. 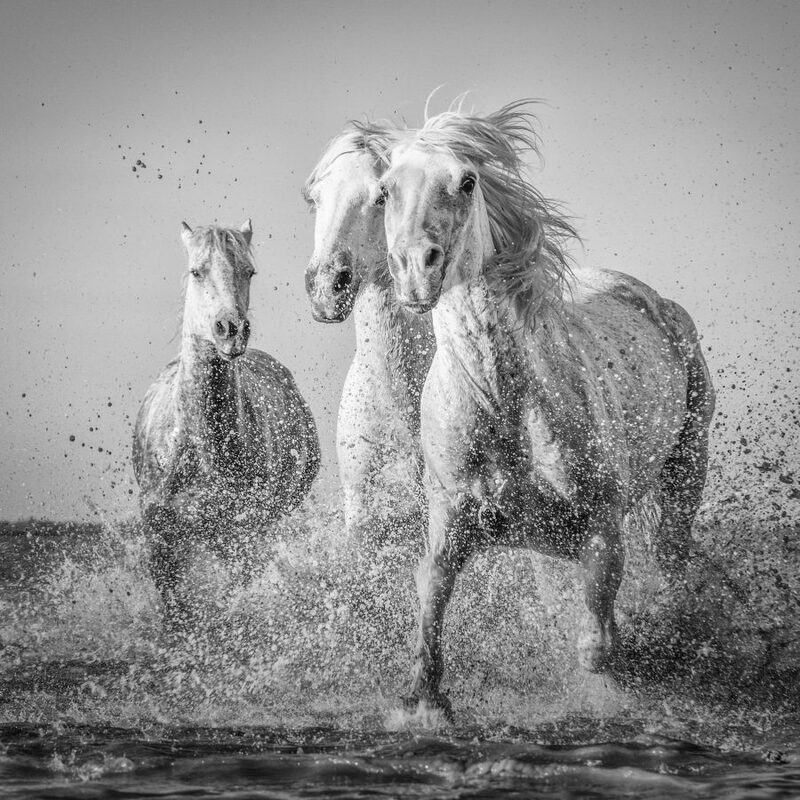 And wild horses charging in the Camargue in France suited the monochrome exactly for Brit Tracey Lund. The 44 year old customer experience engineer from Hull, Yorkshire, said: “As they ran towards us, I wanted to get down low to get a different aspect of them approaching us. 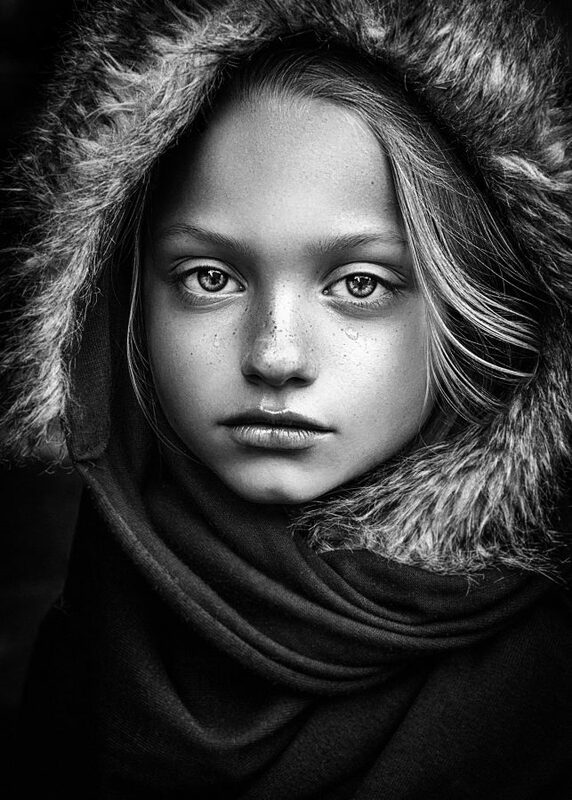 Another highly commended portrait of a young girl came about during a model shoot by Danish photographer Janie Cristina Salskov. And this stark lighthouse on a rugged Irish coast perfectly captures the light and dark of the medium. 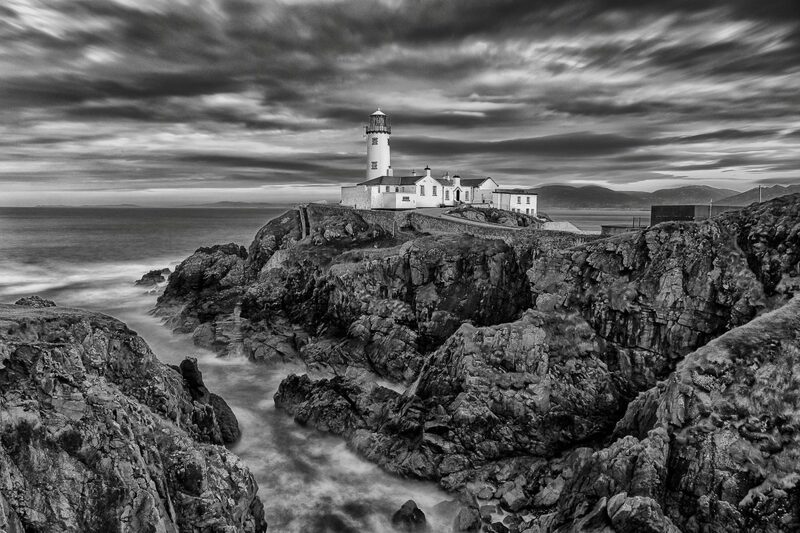 It was taken by fitness instructor Todor Tilev from Athlone, Co Westmeath, who said: “My family and I visited County Donegal and went to Fanad Lighthouse, where I took this picture. Speaking of the winning photo, Phil Jones, The Societies’ Chief Executive says “Eric’s image demonstrates creative composition that draws the viewer’s eye into both the primary and secondary point of interest.